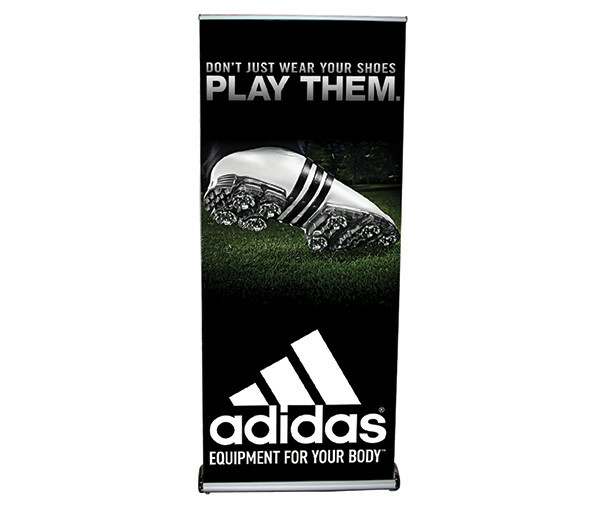 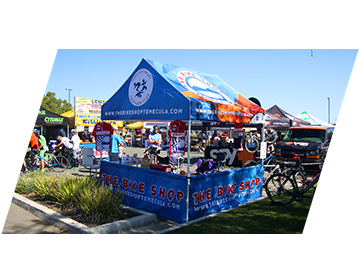 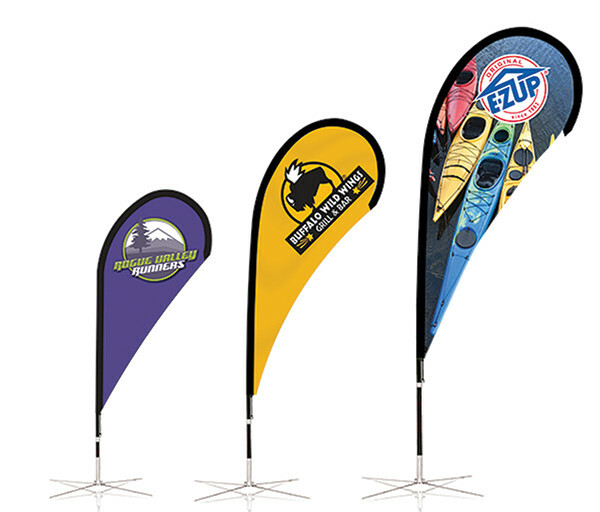 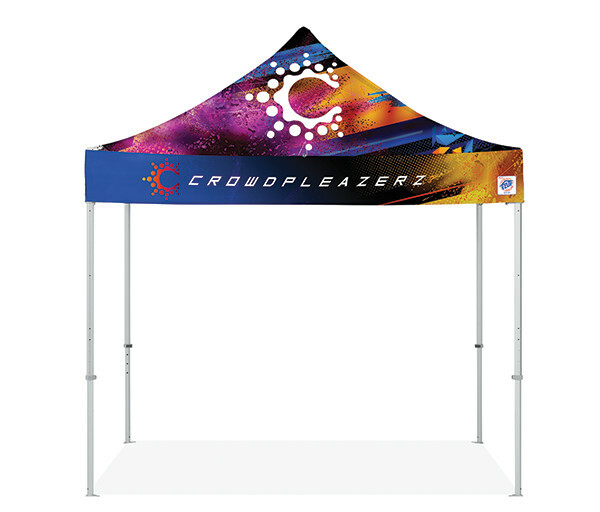 WHAT MAKES E-Z UP® THE LEADER IN CUSTOM PRINTED SHELTERS?? 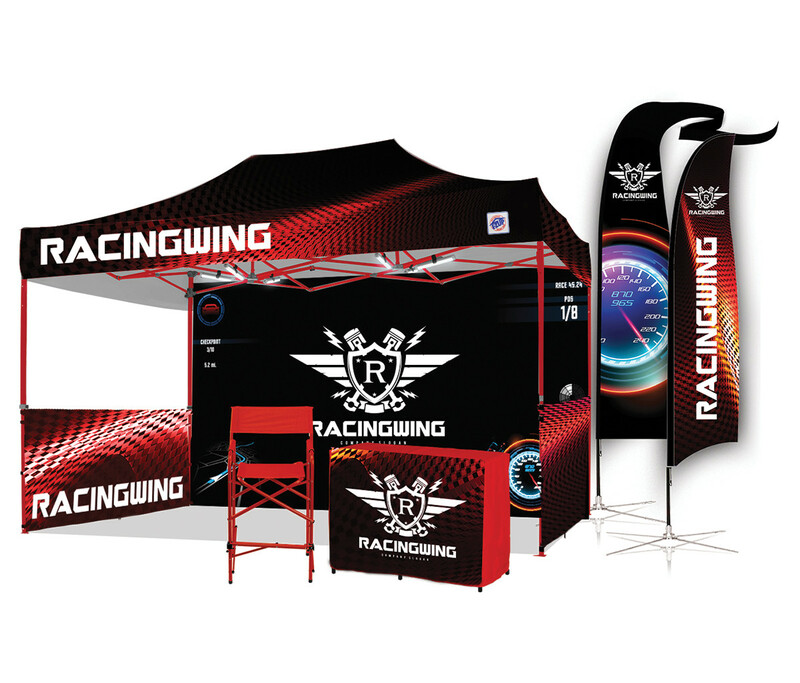 Shown with Table Cover, Tear Drop Flag, Sidewall, Directors Chair, and Weight Bags. 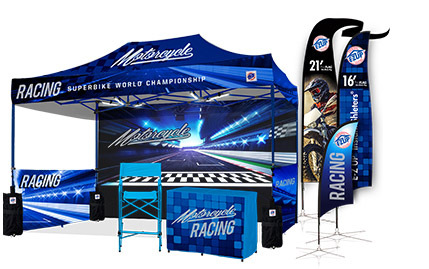 READY TO ORDER YOUR CUSTOM PACKAGE?? 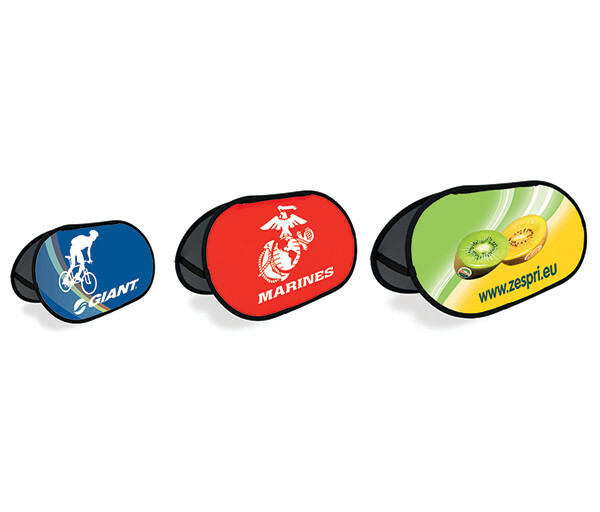 We offer a full line of customizable products. 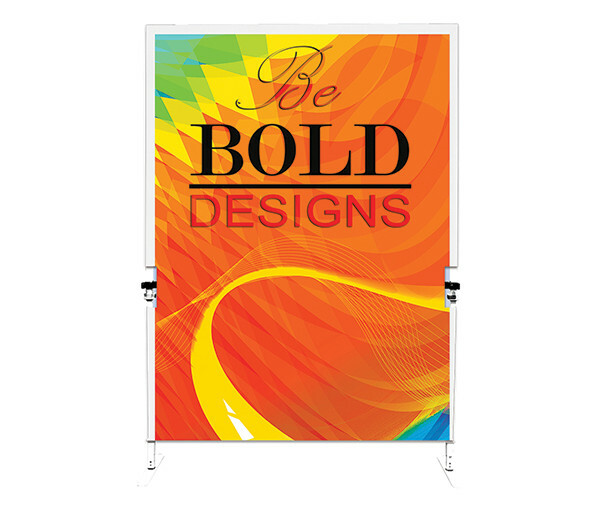 Need inspiration?? Checkout our inspiration gallery. 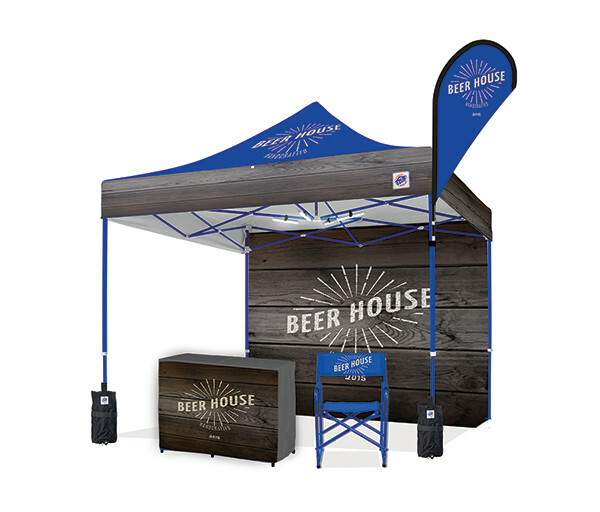 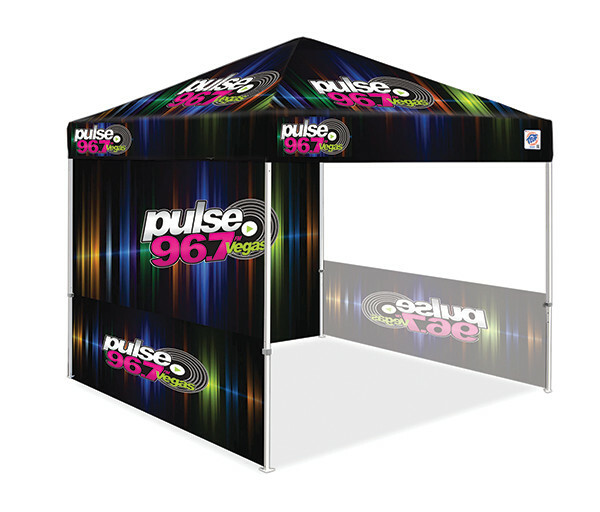 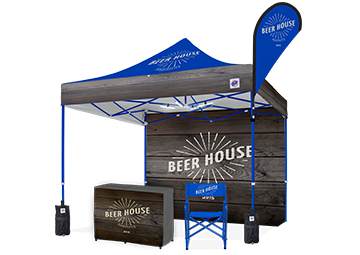 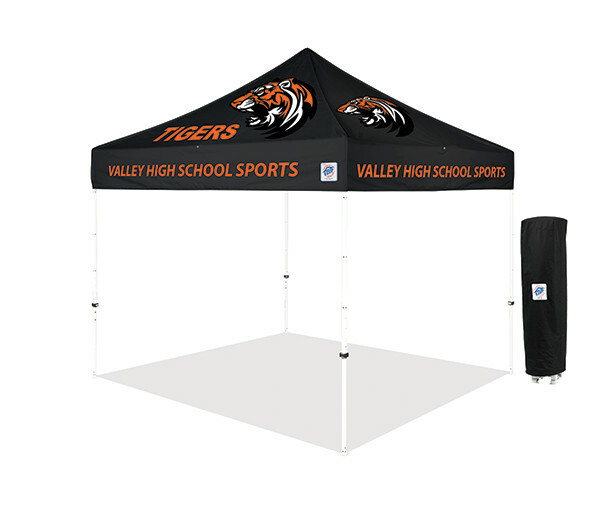 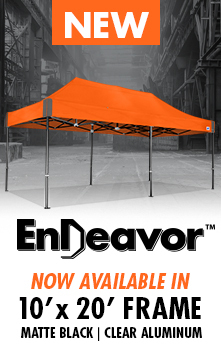 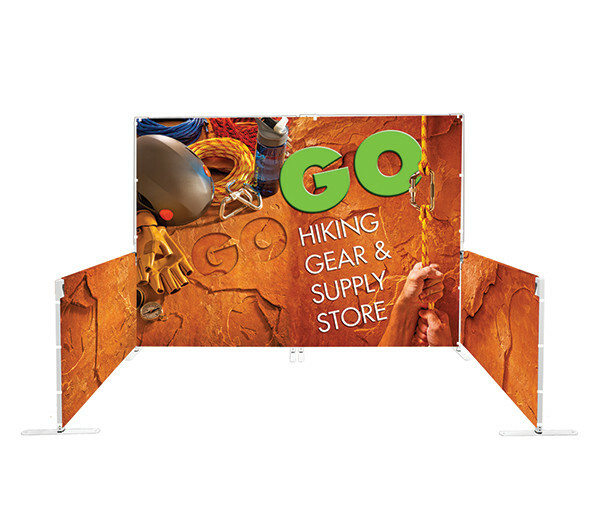 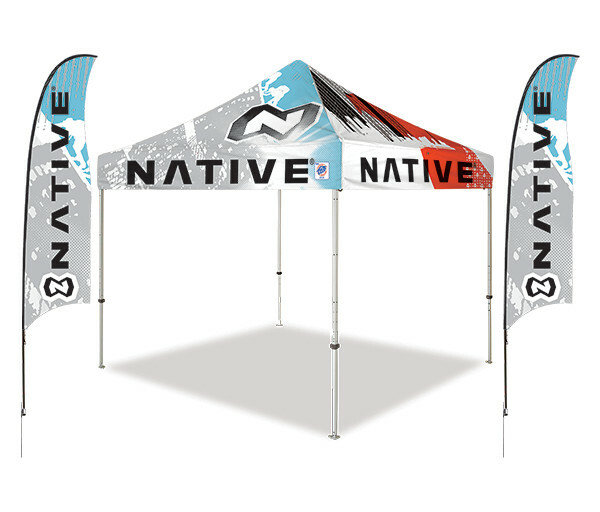 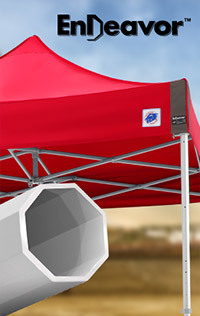 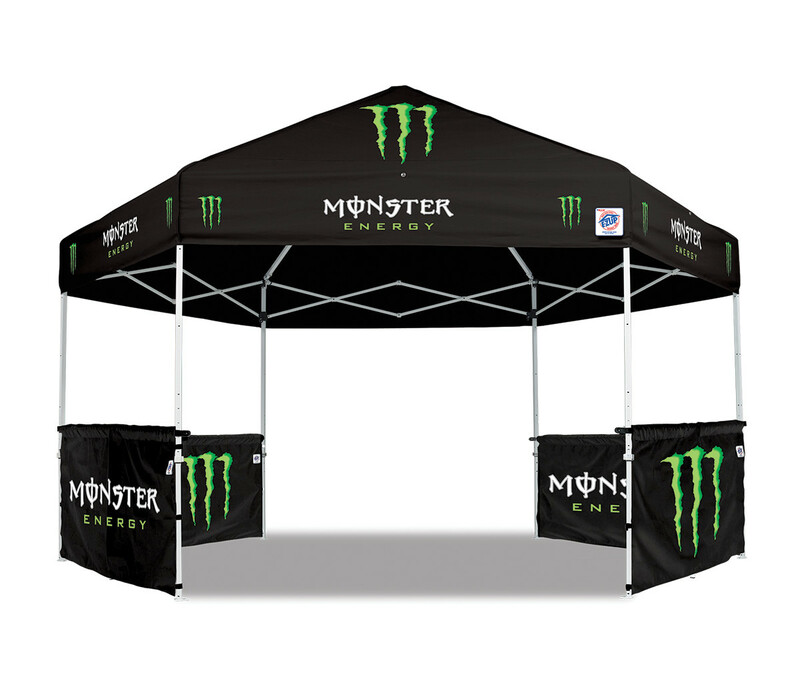 You get quick turnaround of just 1 to 2 days on pop up gazebos and custom shelter accessories. 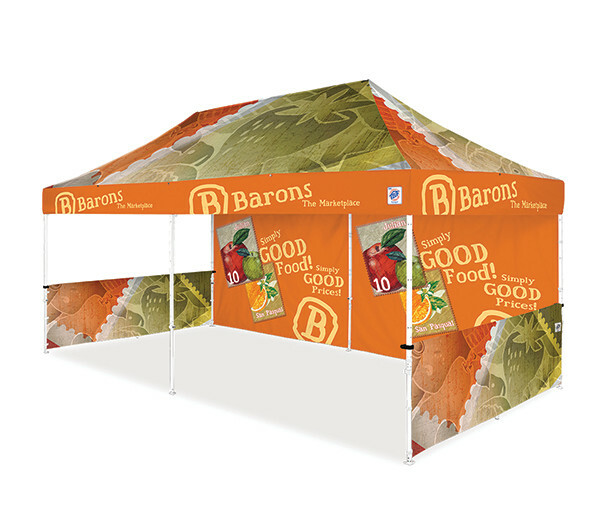 Accepted Artwork Applications and Requirements.